I work as an advanced nurse practitioner (ANP) for Greater Manchester Mental Health NHS Foundation Trust in an older adult community mental health service. As an ANP, I work alongside medical staff and with the wider service to offer additional and enhanced support to the assessment, formulation and review of treatment plans for older adults with mental health needs. 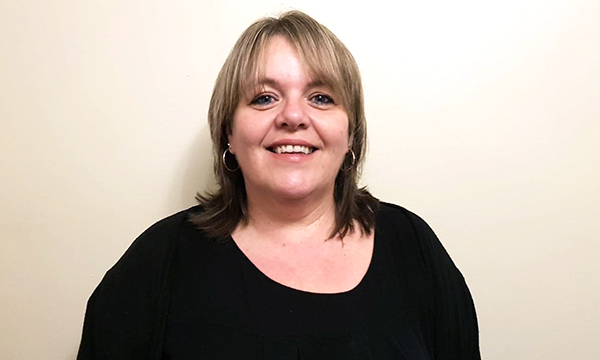 My role also involves monitoring medication and I run a nurse-led clinic for people who need supervision from mental health services because of the type of medication they have been prescribed. I always wanted to be a politician when I was growing up. It was only when I was at college that I met someone with mental health issues and I knew I wanted to do something to help, to make them feel better. At that age, I don’t think you appreciate what this really means, and it takes time and experience to recognise the privilege it is to work with someone when they are at their most vulnerable. What has given you most satisfaction? I qualified as an ANP in 2009, but a service reconfiguration in 2014 meant I was moved into a senior operational manager post. I did this job for four years but knew I wanted to have a clinical role rather than a managerial role, so I fought to reinstate my ANP job and have been back in this clinical post since June 2018. I feel lucky to work in a trust that supports staff development. I was honoured to be awarded the title of Queen’s Nurse in 2017 and I am proud to be the only mental health nurse in the country to have completed a nurse fellowship and be a Queen’s Nurse. What do you enjoy doing outside work? I have a big family; this keeps me busy! Both my sons play in rock bands and I love watching them play live. When working with older people or patients with mental health difficulties, what qualities do you think a nurse should possess? Being able to show care and compassion at the most difficult of times, to remain competent and knowledgeable about new treatments and ever-changing health and social care landscapes and to retain and demonstrate commitment. I think communication is the most important element for nursing as a profession. The fundamental qualities of mental health nursing are empathy and excellent communication skills, the ability to understand verbal and non-verbal communication, and behaviour and the ability to make yourself understood, again verbally and non-verbally; not just to listen, but to hear and to be able to demonstrate that you have. Staff often say they are drowning in paperwork and bureaucracy, and that this takes them away from their clinical, face-to-face time and it affects morale. They also say that morale is affected by the constant changes to ways of working. The biggest challenge is to continue to support and motivate the team and make them feel valued. What is likely to affect nurses working with older people with mental health needs and working in the community over the next 12 months? The NHS landscape is changing and there is an ageing population presenting with multiple co-morbidities. There are fewer inpatient beds available and a focus on care closer to home. While this is absolutely the right decision for older people with mental health needs, there will be a significant impact on the workforce; not just on the numbers of staff needed to support new models of care, but also on the knowledge and skills that are required to meet mental and physical health needs. It is going to be a steep learning curve.